During today's Super Smash Bros. 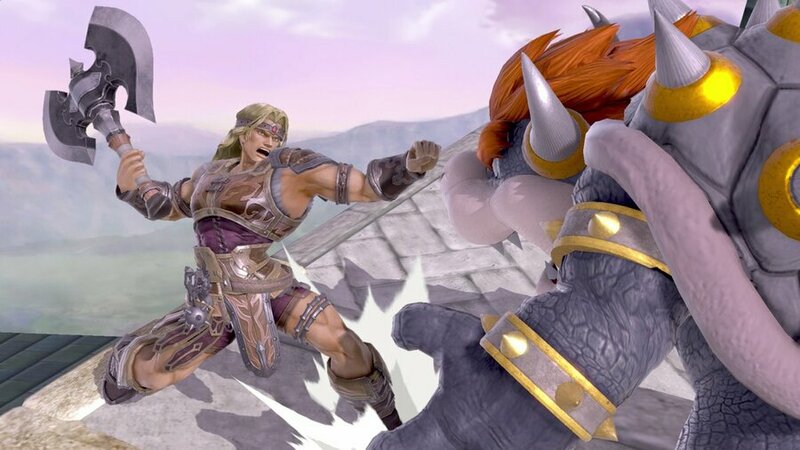 Direct, Simon and Richter Belmont have been confirmed as playable characters in Super Smash Bros. Ultimate. The legendary vampire hunter Simon, main protagonist of Castlevania and Castlevania II: Simon's Quest, will use his far-flinging vampire killer weapon in the game. The whip is relatively slow to use, but has an extremely long reach to make up for it. On top of this, Simon will be able to use axe, cross, holy water, and uppercut moves, and charges into the game with a Castlevania-themed stage, Dracula's Castle. This stage is the darkest stage that will appear in the game, and certainly looks wonderfully spooky to us. It will have 34 different audio tracks taken from the Castlevania series, too, so fans of the game's soundtrack will be more than pleased. Richter Belmont will also join the roster as an echo fighter, playing in a similar fashion to Simon. His strength is the same, but his look, voice and animations set him apart. Were you expecting this reveal? Let us know with a comment below. What an excellent night to have a curse. I don't understand why we get these characters when the current generation of gamers have not even been properly introduced to the games they played a leading role in. Forgotten glory. Hell, the current generation of Nintendo fans do not know what a good Nintendo is. They weren't around when Nintendo had real third-party support and when Konami was basically a second-party; they weren't around when both were on top of the game. I guess that is the closest thing to Castlevania Konami is giving to the players. That’s cool and all, but two of them? A little bit of overkill, if you ask me. @Zuljaras Hey now we have those awesome amazing pachinko... ok can't say that with a straight face. See they should of just had Simon in it and not cloud! @XenoShaun Why are you making me remember this stuff?! Konami is a miserable pile of s ... ecrets! Honestly, after years of wanting a new entry in the series, I now see it as a pointless undertaking. I mean, the Metroidvania formula is alive and well, so I don't think that Konami would return to that formula (especially since Igarashi is no longer at the helm). I really don't care about the God of Vania formula, from a few years back. I would love to see them remake Super Castlevania 4, or do a straight sequel that utilized that game's mechanics (why Konami didn't build on that foundation, I'll never understand). God, I wouldn't even mind seeing Bloodlines again, since it has only been released on ONE platform! It was a fantastic game that deserves to not be forgotten! As someone that has never played a Smash game and doesn't have any game series fatigue for it, this is the perfect time to jump in. Looks like a lot of content. It's only missing Professor Layton. Solving puzzles in the form of defeating his opponents. "You steal men's souls, and make them your slaves!" "What is a man? A miserable pile of secrets. But enough talk: have at you!" @thesilverbrick I wish we got 3 - Alucard should be playable too! @EightBitMan Showing the roots of gaming to modern gamers who might not know the classics is one of the things that Smash is amazing at. @BanjoPickles sadly Symphony of the Night became the greatest 2D platformer of all time, and so it remains. You could play through SOTN as Richter once you finish it with Alucard which was as good as Castlevania 5 because it got rid of the RPG elements. OMG.....OMG. lol his old school design is absolutely amazing!!! I hope his design from Castlevania Chronicles is an alt skin. Phenomenal, love the character designs. I read some of the comments above and what true gamer would not know about the Castlevania games ? New generation of gamers are a bunch of moaning Minnie's it seems. This is pretty neat, even if I've never played Castlevania before. On a side note, is anyone else bothered that Luigi was killed in the reveal? I mean, Mario died in the Ridley reveal, so do the Mario brothers canonically no longer exist? Mario and Luigi are both dead now. I want a Luigi’s Mansion game that looks like that intro. @westman98 @FlimFlam Nah, they got plenty of extra lives left over. You can get loads of them in virtually any Mario game anyway! As fantastic of a game as it is, I can't agree with you that it's the greatest 2D platformer. I don't even think it's the best game in the series (I would rank it third, behind Super Castlevania 4 and Aria of Sorrow). It's sort of like the Final Fantasy VII debate: many argue that it's the best in the series, but I would still put it third, behind VI and IX). Speaking of Symphony, I would love to FINALLY see the game appear on a Nintendo platform! I mean, why not? Nintendo has been home to every Metroidvania in the series, so why not release the HD port of the best-known entry in the series? Yes! 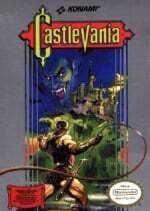 Love castlevania! Excited to see him in action! @EightBitMan I like that they've added some retro characters. There's things twofold; It's a fan service to gamers that remember playing those games, and allows newer players to say "hey, what game are they from, I might want to play it to see why it's a big deal"
Like @prince-jay pointed out, it's also about brand recognition and engagement. I'd imagine Nintendo is also going to be getting metrics from online use to see which characters are used, or gauge responses from social media. Then share that data with 3rd party to show there's an interest in these stories. @thesilverbrick They're by far two of the most beloved Belmonts from the series. Also, Richter is just an echo, here. I'm super happy this series gets love in Smash, finally. They're too busy losing their marbles over that splatoon inkling BS. Thank god Simons finally I'm in the roster! Totally made my day. Crossing my fingers for wart. @BanjoPickles Holy crap... I haven't even considered that Symphony hasn't made it to a Nintendo device yet! That really needs to be rectified, and Switch is the perfect medicine for it. @Captain_Gonru - Ha, that screenshot with the axe made me think the exact same thing. That’s a mighty big throwing axe. A Belmont is long overdue in a Smash game though, glad Simon is in. I hope his Captain N look is a skin. Daaang, Nintendo Life works fast! Can we get Adol Christin next? @RadioHedgeFund I hope those are some one liners Richter will be saying in Smash. I know! Crazy, isn't it? It has been released on PS1, PSP (in the form of Dracula X Chronicles), PS3 (HD rerelease), Xbox 360, Sega Saturn----I think that it's Nintendo's turn. It would be a good way to reignite the series, if they had any intentions of doing so. My dream would be a comprehensive, three part Anthology of the entire series! You could include the NES/GB/SNES/Mega Drive games in the first edition, the Metroidvania games (Symphony, Circle, Harmony, Aria, Dawn, Portrait, Order) on the second, and the Lord of Shadow series, the 64 titles, and the arcade game on the third. It will never happen, but a guy can dream. Dude, the whole Captain N ensemble is here. Now can we get Eggplant Wizard and King Hippo as assist trophies? We already have Mother Brain. @Aerona Yes, Alucard is an assist trophy only. Sorrrry. @EightBitMan This is a great way to give people exposure to older characters, this could end up becoming the catalyst for new proper Castlevania games. I also think Retro is working on a new DK title. Donkey Kong Country: K.Rool Returns. Haha! Almost! We just need Kevin, Gameboy, Princess Lana, and Duke. Man, that show brings back so many Saturday morning memories! I remember watching it when it was paired with the Super Mario Bros. 3/Super Mario World cartoon. Good times. @thesilverbrick This whole game is overkill! There is so much of it! Just gotta roll with it. The value here is astounding! @RupeeClock Wow, King Hippo should be in the game for sure. How did I never think about him as an assist character in Smash before! Good call. What if all the boxers from Punch Out! 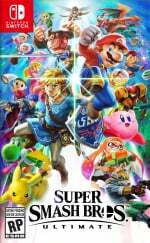 were in there as one rotating assist trophy? YEAH! Simon & Richter Belmont! My wish is granted! O helllll yeahhh. This was the best Direct ever! The belmonts! Legendary! King k rool oh yeah! and man those beautiful cutscenes! This is a game i will play forever! @EightBitMan what are you whining on about again? Would you rather NOT have these characters...? @Medic_alert Yeah, the most content in a fighting genre game ever, and they undoubtedly still aren't finished with announcments! I'm glad Richter is an echo, though I like Belmont much better I did enjoy both of their Super NES games. This direct finally made me care about Smash Ultimate. I love Castlevania and am pumped they included both Simon and my favorite, Richter! 34 music tracks and an amazing stage? Hell yeah! @EightBitMan Yeah Smash Bros is a hommage to the golden age of the japanese industry, before Sony took over the market and destroyed the japanese industry by flooding the market with big budget western AAA without any game design work. O. M. G. Simon. Effin. Belmont. At LONG LAST, my prayers have been answered. 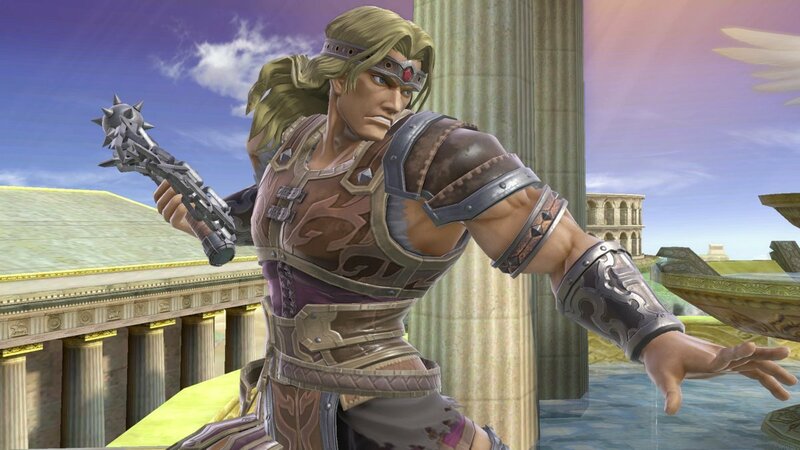 After Snake made his appearance for the first time in SSBB, I said "Snake may be on the top of his game at that time for Konami which is why he appeared in Smash, but how can you NOT have a Castlevania ambassador in Smash when Castlevania is the Konami game that ties harder to Nintendo??" 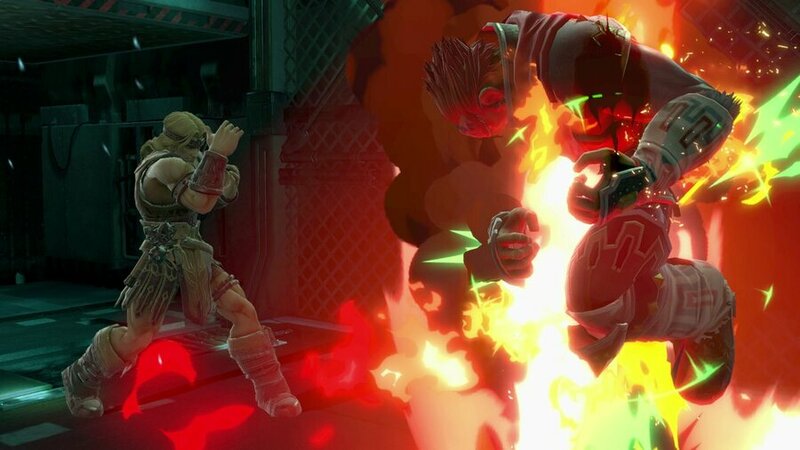 So I grumbled and went on with my life, but then came SSB4 and we had what... umpteen SWORD fighters, some gun/shooters, and the rest fist fighters, but no whip action save for ZSS and Samus' grapple beam-- A missed opportunity for another type of play style. Again, went on with my grumbling life. But finally Nintendo and Konami have gotten it right, and about bloody (no pun intended) time too. I cannot wait to start whipping to my favorite Castlevania tracks. On an entirely different note, It looks like the whole videogame character gang from Captain N is here now-- Mega Man, Pit, and Simon Belmont! @Jokerwolf I suggest ignoring EightBItMan. The only reason he's here is to be a Debby Downer and a know-it-all snob pretending he's factually right that Nintendo isn't good anymore. Even going so far as blatantly ignoring the third-party support they've gained from the Switch. Just because not every AAA company under the sun is making a game for the Switch doesn't mean Nintendo isn't good. YES! 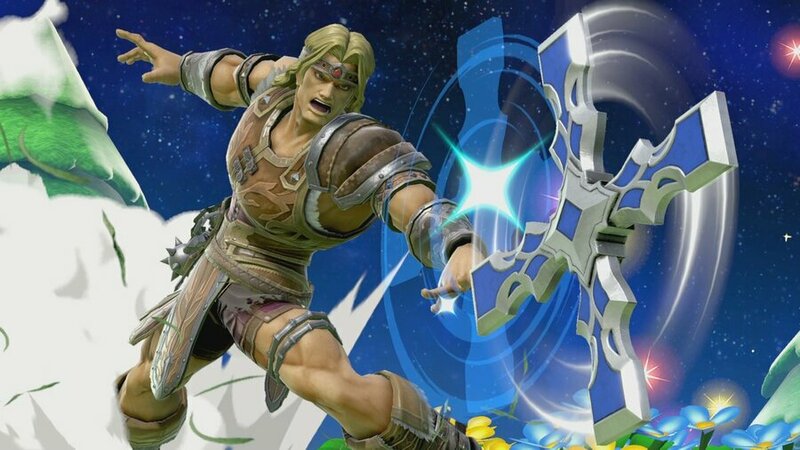 All I've wanted in Smash Bros. for so long is some sort of Castlevania character! This is definitely greater than I could have ever hoped for. Two playable characters, an awesome assist trophy, an incredible stage full of bosses and monsters from the franchise, a ton of incredible music, and one of the coolest reveal trailers for any Smash character. I still can't believe IT ACTUALLY HAPPENED!! This is the type of thing that gets me interested in buying this game even though I don't enjoy it much. lol. This and Shovel Knight, even though he's just an assist trophy. I don't know. Maybe my kids are ready to play more competitively... but I'm just not that into it myself anyway. But all these fun characters that I still love. I can't stand these Gen Z kids, forever whining no matter how good the news is. And people said millennial's were bad lol. They should give Simon's Quest the Mercury Steam treatment. So glad to have Simon finally make the roster!! All of my childhood gaming memories are centred around The Legend of Zelda, Mario, Castlevania, Metroid and Mega Man and with this announcement I can finally have them all batter each other around for my enjoyment. @EightBitMan I understand your perception. However I think the point of the character roster (well, most of them) is to highlight those that have had a historical impact in the gaming industry. Simon and Richter both remain extremely popular Castlevania franchise heroes with the retro crowd, and the new generation can get to know them and the older games via their inclusion. This GREAT announcement leaves me "complete" as far as my ultimate (pun intended) roster for the Super Smash Bros series. FINALLY we get Simon Belmont and Richter as a nice bonus echo character. With Bomberman as an assist and now Shovel Knight (! ), my dream retro roster is complete! Okay wellllll...you know what they say what happens if you give a mouse a cookie. Now I'm strangely wanting Duke Nukem and a Mortal Kombat character to pop up! And no Bonk. That for me is disappointing even though everything else is great. I was hoping to have a three way fight between Bonk, Mario and Sonic; a Smash Bros. 16-Bit Console War battle. I’ve never touched a Castlevania game and don’t ever plan to, but my goodness, these characters look like a lot of fun to play as. Disappointed that Shovel Knight got in as assist trophy before Shantae. Hopefully she became the next playable for DLC. She had ties with Nintendo since the GBC so I don't get why she shouldn't be represented in Smash Ultimate. @EightBitMan Because Konami is making a new Castlevania game for Switch and also a Collection Game for all consoles. finally you young smash kids will get to be a manly hero in a game for once. Finally! After years of complaining that half of the Metroid-vania genre was missing from Smash, and after voting for Simon in the Wii U poll a few years back, a huge gap in the Smash roster has been filled! This news made me so happy! I'm not sure there's a character left out there that I feel NEEDS to be in Smash now. Wart/Birdo, Waluigi, Crash/Banjo... maybe Ryu from Ninja Gaiden actually. They would be nice additions, but for some reason now I feel complete. Thanks Nintendo! @MeloMan I share a lot of your sentiments! Now we just need some more whip-action diversity by including.... Earthworm Jim!